The Penn US Senator conventional reel comes innovatively designed with little to no elaborate creations but a profound improvement on a basic concept. It is also designed such that it puts technology to work effectively. The reel comes in a durable aluminum frame, enhanced by the combined strength in the pinion gears and the stainless steel main. The reel is available in three, unique models that anglers can choose from viz. narrow, standard or wide spool style. The US Senator – which casts effortlessly applies up to 27-pounds of drag resistance when the time comes for pulling. 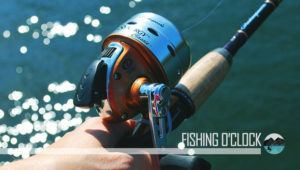 The reel has a durable, single-piece frame consisting of machined aluminum. 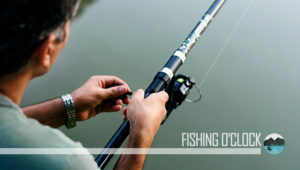 A sturdy frame is of the essence, especially against forceful game fish to avert locking and twisting of the gears. Moreover, the aluminum which is aircraft grade – significantly reduces weight while bearing up excellently well against corrosion and rust. 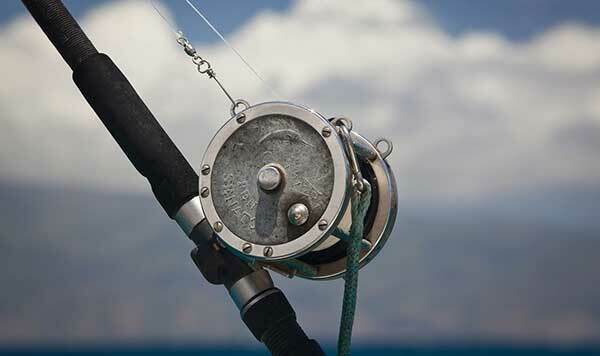 The entire fully-machined aluminum frame helps in keeping the internal parts of the reel in perfect alignment. Pro anglers hail the Penn US Senator for its remarkable strength and its intense resistance against toxic saltwater elements. Although you can see it in the spool and the frame, you will feel it, even more, when you crank up the stainless steel main along with pinion gears. Stainless steel has always been known as one of the strongest metals in existence today, and it bears up well against rust. The spool of the US Senator is made of lightweight anodized aluminum. Penn continues to maintain this theme of lightweight strength and molds the spools throughout the forging process, then machines them to finish. Penn also enhances the exterior of the spools by adding line capacity rings during the forging process. When bearings fail unexpectedly on a saltwater reel, it significantly slows down the spool. This is what Penn tries to prevent by ensuring that the reel comes with shielded stainless steel bearings. Each US Senator Reel utilizes up to six special shielded bearings. The stainless steel material is extremely resistant to rust and sits in a shielded, enclosed housing. The US Senator receives a standing ovation for a remarkable feature known as the free-floating spool, thanks to the innovative inclusion of the Live Spindle System which allows for the virtually endless spin. The spools on the reel ride entirely on bearings and the absence of friction do not slow them down in any way. Even though Penn rates the drag of this extraordinary reel at 27-pounds (max), experts believe that it can reach up to 30, especially when it is tight all the way. The US Senator gets a lot of slowing power owing to the contribution of the wide contact surface on the drag washers. Penn ensures the drag system is highly durable along with the HT-100 carbon discs. They were once tested out up to 100 miles of use, and it showed no signs of wear whatsoever. The US Senator Reel – which comes with virtually concealed harness lugs that anglers may not readily notice on time – engages with a clutch lever along with the drag which is set against a dual anti-reverse system. The harness lugs which are positioned within the frame and set in a downward-facing angle make it easier for users to palm the reel. But if you prefer, you are at liberty to flip them up at any time. The anodized aluminum handles – which offer some distinct cranking positions end in an ergo palm, non-slip grip. This conventional reel comes with a durable rod clamp that is suitable for aluminum or graphite seats along with a clicker on the back side plate. The only disadvantage that the Penn US Senator Reel showcases is its gear ratio. 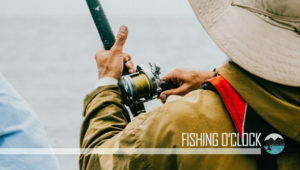 Now, thirty-six inches per crank is not all that bad when it comes to the intake of a line; anglers may well demand more speed, especially considering the seamless way the spool spins. This is not a pocket-friendly reel; so if you don’t have deep pockets, you may have no other choice than to look elsewhere for a reel that is as good – but less expensive – as the Penn US Senator. The US Senator may not be one of the least expensive tools out there; it brings sturdiness that is entirely lacking in other reels. The gear train that is present in this reel – which entails a huge stainless steel main gear along with a heat-treated pinion gear is sturdy enough to take on anything, including industrial use. 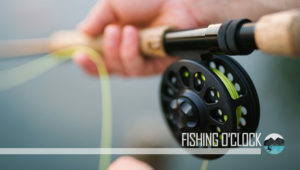 Easing up on your budget by going for alternatives may sound tempting, but you may miss out on the live spindle that can only be found on the US Senator as well as a well-designed saltwater conventional reel that lasts a lifetime if taken care of properly.